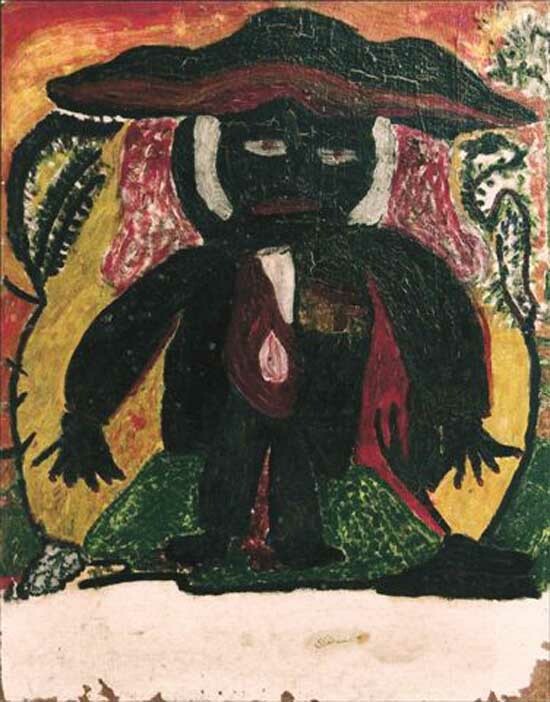 St. Brice was born in Petionville, Haiti in the 1890's and was raised by a prominent Episcopalian, Maitre Turnbull, but eventually became a voodoo priest. He did not begin to paint until he was over 50 years old when an American painter, Alex Johnes, or John, introduced him to the work of the French Impressionists. St. Brice joined the Centre d'Art in 1949. He was illiterate for his entire life and the dealer Issa el Saieh talked of spending hours teaching St. Brice how to sign his name on his paintings. 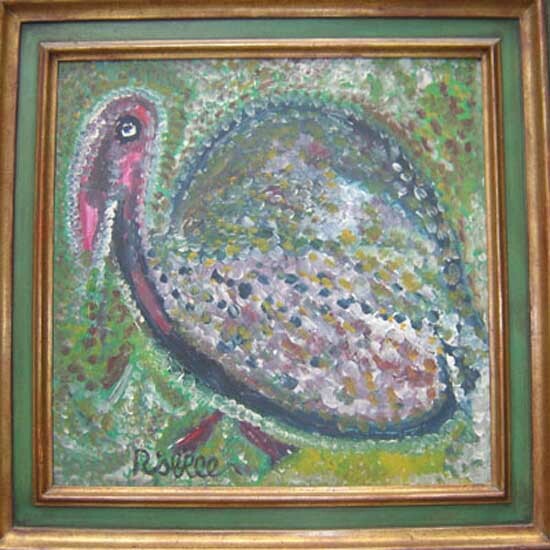 Jean-Marie Drot, the Haitian art historian, places St. Brice second only to the legendary Hyppolite in the pantheon of Haitian artists who received their inspiration directly from the vodou spirits. St. Brice received his ideas while dreaming. He was an original. Drot decribes him as a stylish man who wore red scarves, a favored accessory of the houngan, had a beautiful smile and voice and was friendly and sociable. His work is prized. He died in 1973. * this painting has some condition issues. Details on request. This painting has a special provenance; It was acquired from Selden Rodman in the mid 1950's by the American artist, James Kearns. Other works from Mr. Kearns collection by Louverture Poisson, George Liautaud, Castera Bazile and Janvier Louisjuste, are also available.